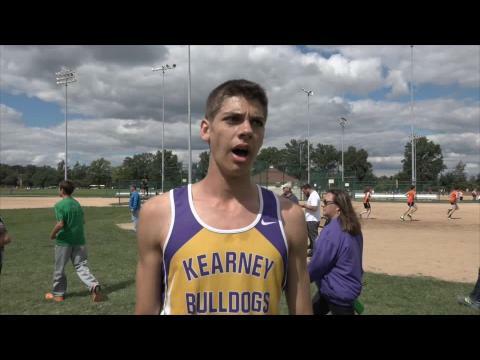 We highlight just a sliver of all the amazing performances that happened at Forest Park. 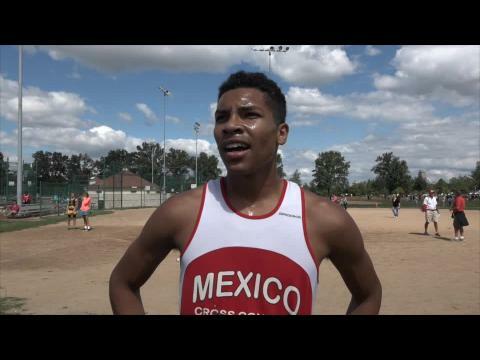 Watch the best kicks & races from the weekend here! Find our photo and video coverage from each of the races! See which team your race is in and who you'll be racing! 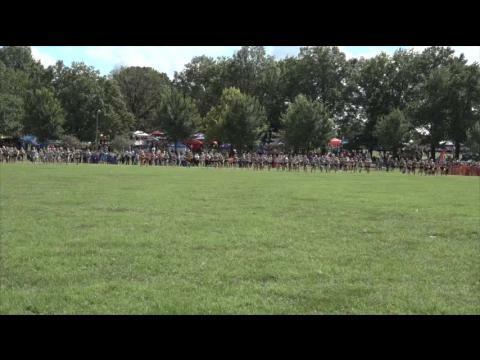 Highlights from the Varsity Girls Green Race at the Forest Park XC Festival. 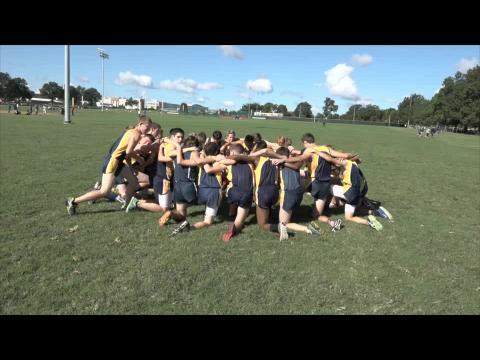 We preview the Varsity Boys Green Race for the upcoming Forest Park XC Festival. Take a look at the history book of one of the fastest meets in the Midwest. SLUH's Joe Porter took us out on the gator to check out the new Forest Park Course! 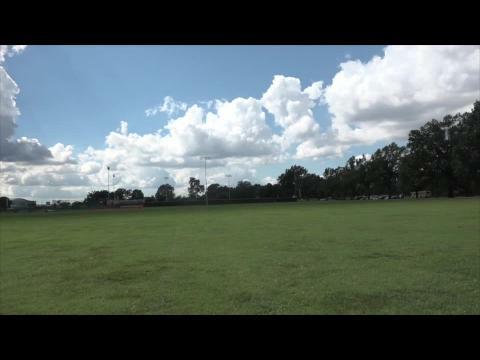 We check out the new course at the Aviation Field. 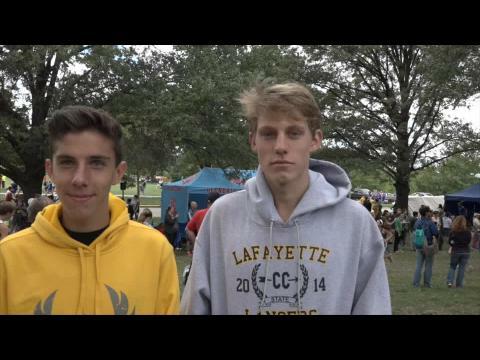 We talk with the trio from Lafayette after a 2-3-4 finish at the Forest Park XC Festival. The girls race is going to be crazy! The top six ranked girls and the top two teams in the state all in the same race. 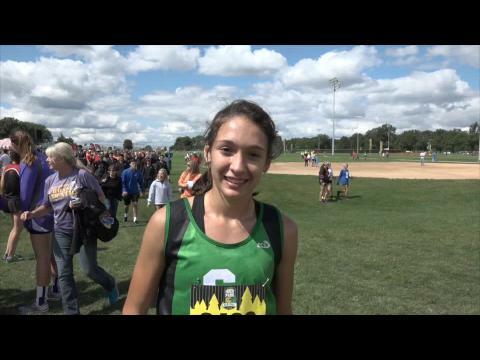 We talk with Taylor Werner after her victory at Forest Park. Take a look at the fastest girls in meet history. 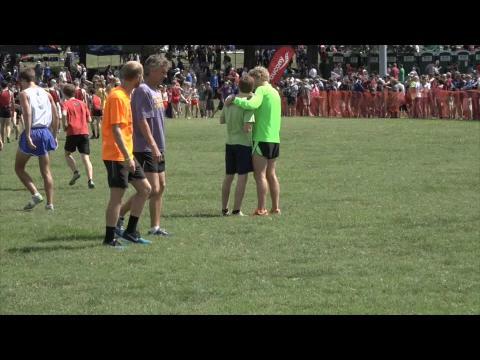 We talk with Anna West and Sarah Nicholson after Forest Park. 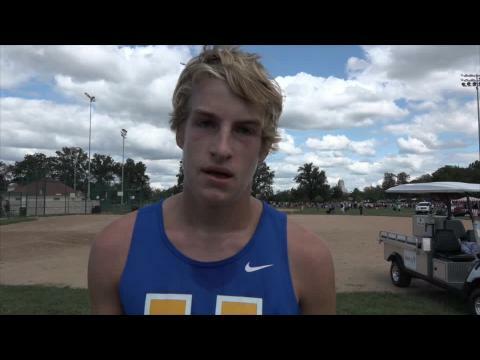 We talk with Aaron Dugan of Hillsboro, one of the biggest surprises of the day at Forest Park. 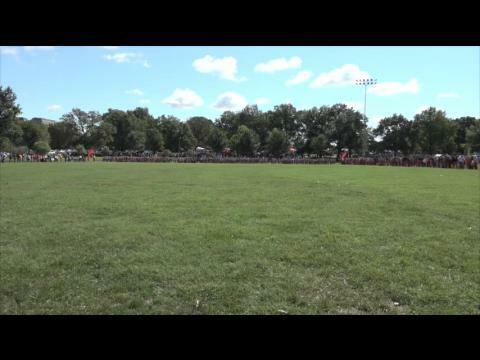 Race video from the Varsity Girls White Division at the Forest Park XC Fesival. 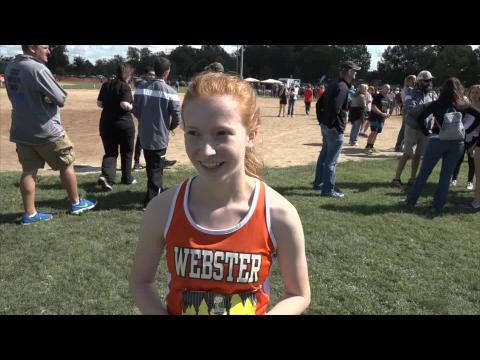 We talk with Varsity Girls Gold Race winner, Emma Harrelson of Webster Groves. 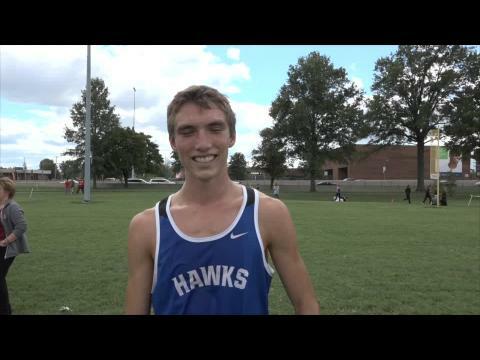 We talked with Austin Hindman, Devin Meyrer, and Alec Haines after finishing 2-3-4 at the Forest Park XC Festival. 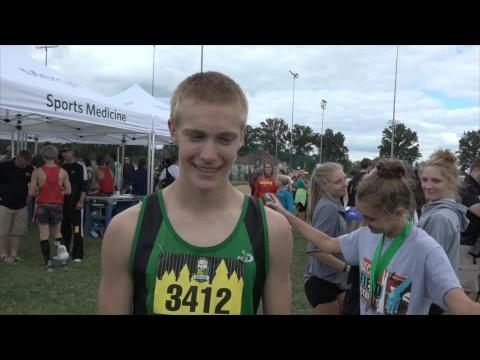 We talk with Taylor Werner after her victory at the Forest Park XC Festival. 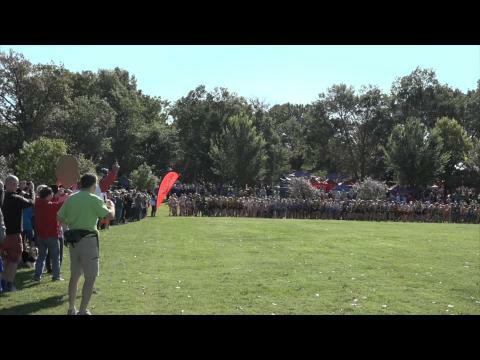 Watch the epic varsity boys green race video from Forest Park! 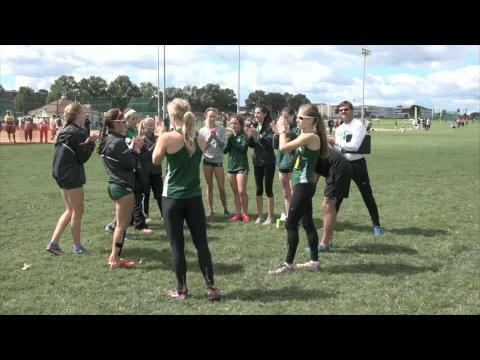 Watch the Varsity Girls Green Race Video!